Q: We want to offer an employee a settlement agreement. The employee is suspected of gross misconduct but the investigation will be complex and we think the employee might try and delay the process. I’ve been told ACAS guidance is that an employee should be given 10 days to consider a settlement agreement. Do we really need to wait that long, surely a couple of days is enough? Is there a way of giving the employee less time and what are the risks if we set a deadline of say, 48 hours for the employee to decide? An employer doesn’t necessarily have to give the employee 10 days to consider a settlement agreement although there are risks if you do not. 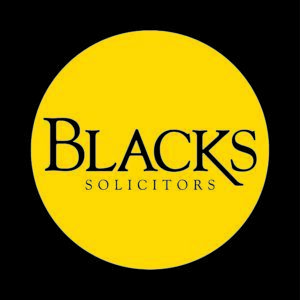 In essence, the risks only arise in the event of the settlement agreement being rejected and the employee ends up being dismissed and subsequently brings a tribunal claim for unfair dismissal. Consequently, an employer should weigh up these risks and take those into account along with all other relevant circumstances such as the commercial need for expediency and the employer’s approach to risk to decide what is the best approach in the circumstances. This is particularly relevant where there is no existing dispute between the parties and the employer is seeking to rely on the confidentiality provisions of Section 111A Employment Rights Act 1996 in the context of a protected conversation which cannot be referred to in unfair dismissal claims. Of course, this does not apply to other claims such as those for automatic unfair dismissal or discrimination although it isn’t clear on the facts above whether there is a risk of claims being outside the scope of Section 111A. For the purpose of this answer, we shall assume not. One factor that is highly relevant is the likely prospects of the employee actually accepting “the deal” that is being proposed. If the offer is a generous one that is likely to be accepted then perhaps a more commercial approach can be taken with a shorter time frame (especially if there are other commercial considerations justifying a more timely resolution). On the other hand, if the deal is considered to be modest or equivalent to a nuisance sum only (with no budget to increase it and therefore which risks being rejected by the employee), then a more cautious approach may be sensible. ACAS have issued a Code of Practice on settlement agreements (“the Code”) and separate guidance entitled “Settlement Agreements: A Guide” (“the Guide”). It is important to note that a failure to follow either the Code or the Guide cannot of itself render an employer liable to any proceedings. However, if tribunal proceedings are subsequently brought e.g. for unfair dismissal then the Code (but not the Guide) is admissible in evidence and if relevant to a question arising in the proceedings, then it shall be taken into account by the tribunal in determining the question. The most likely question arising where the Code is relevant is in determining whether or not there has been “improper behaviour” by either party in relation to pre-termination negotiations and if there has, in deciding the extent to which it is just for the tribunal to permit a party to adduce evidence of those negotiations in an unfair dismissal case. The shorter the time frame, then the more likely it is that a tribunal is going to conclude that there has been improper behaviour on the part of the employer thus potentially opening the door for the employee to adduce evidence of the negotiations which may influence the tribunal’s view of the case. However, much will depend on the circumstances of the case and the Code itself states that the parties should be given a reasonable period of time to consider the proposed settlement agreement with 10 calendar days minimum being expressed as a general rule rather than a mandatory period. Nevertheless, in a finely balanced case, allowing an employee to adduce evidence of the pre-termination negotiations may tip the balance in favour of the employee on the question of liability and/or may be relevant on the question of a costs award. Of course, none of this matters if the deal is one which the employee ultimately accepts and that is why a risk assessment and balanced approach to that risk should be adopted. “As a general rule, a minimum period of 10 calendar days should be allowed to consider the proposed formal written terms of a settlement agreement and to receive independent advice, unless the parties agree otherwise” (our emphasis in bold). Therefore, the Code itself seems to envisage the parties agreeing a shorter (or longer) time frame if they wish. In the current situation of the employer only wishing to give the employee 48 hours to make a decision, one potential safeguard may be to qualify that deadline by stating that if the employee requires a longer time frame, then the employee should let the employer know immediately by return. In doing so, this would at least give the employer an argument that it was not seeking to impose a shorter time frame without the employee’s consent and consequently such an approach should not be considered to breach the Code to amount to “improper behaviour”. Whether or not such an argument would succeed is however a matter for a future tribunal to decide. Answer given on 19 February 2015.